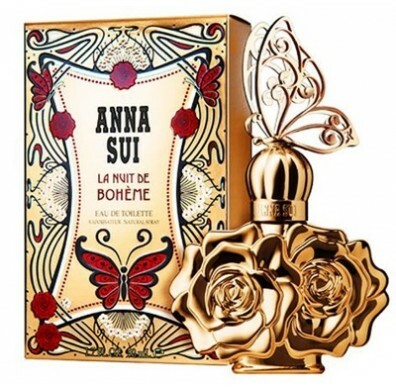 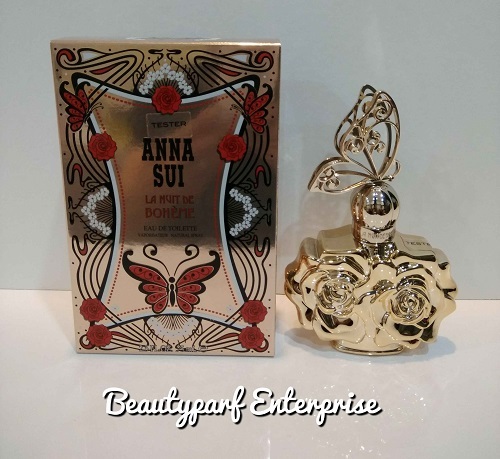 Anna Sui La Nuit de Bohème providing a luminous and sunny composition reflecting the romantic world of bohemians. 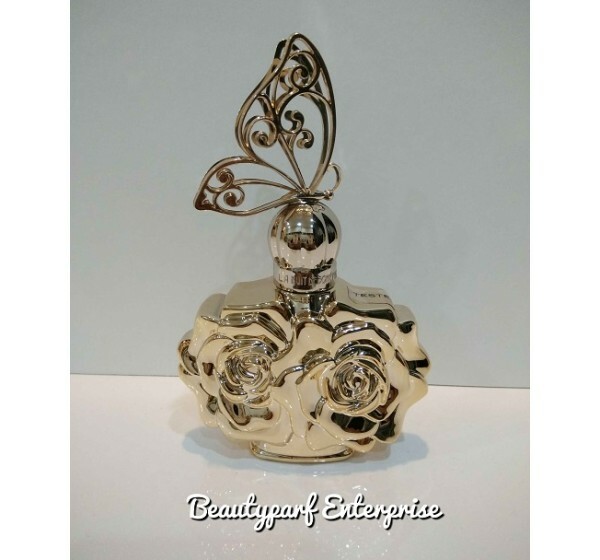 It starts with sparkling citruses and thick blackberry zest, announcing the floral union in the heart of the composition created of lotus and gentle, feminine petals of rose with an oriental twist to woody notes of warm and opulent oud. 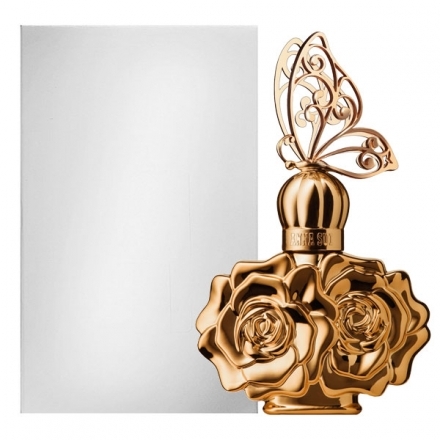 The deeper, sensual and seductive new perfume La Nuit de Boheme arrives in the same flacon shape as its antecedent La Vie de Boheme, as two blooming roses with a stopper with a metal butterfly, but this time made completely in golden color. 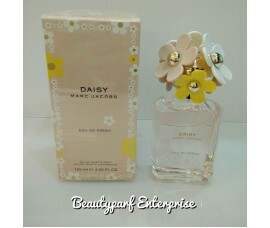 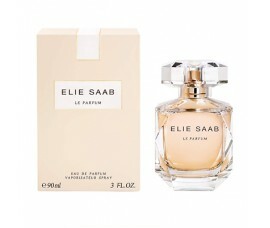 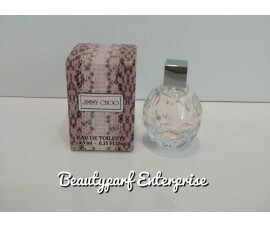 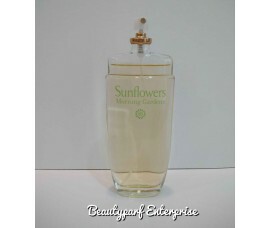 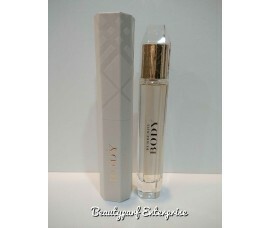 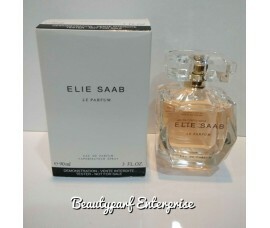 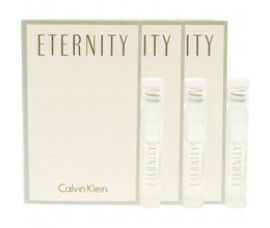 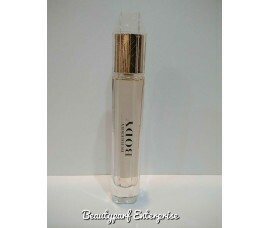 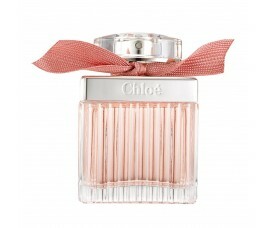 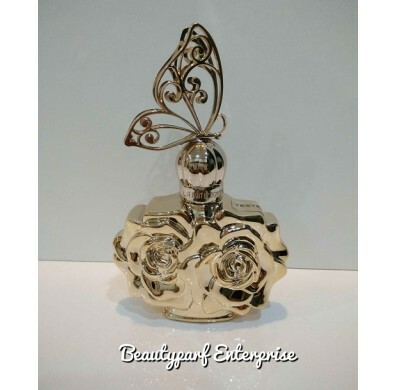 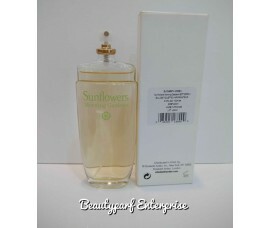 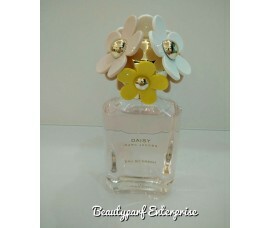 Chloe De Rose Women In 5ml EDT Refillable Spray + Free Chloe Love Story 1.2ml EDT Spray - HOT BUY!